At the age of seven, Albert Kahn was forced to give up the piano due to his family’s unfortunate economic circumstance, despite being already considered a prodigy. At 11, he and his family immigrated to Detroit from Germany, where at age 15 he joined architectural firm, Mason and Rice. George D. Mason, creator of the Masonic Temple, Detroit Yacht Club, and the Grand Hotel on Mackinac Island took an interest in Kahn and taught him how to draft. Like anything else, Kahn picked up architecture quickly and earned himself a scholarship to study in Europe, where he toured with another young architecture student, Henry Bacon, who would later design the Lincoln Memorial in Washington, D.C. In 1895 he founded the architectural firm Kahn and Associates, which is in business in Detroit to this day. Soon after, he and his brother Julius invented a new technique of industrial construction, appropriately named the “Kahn System,” where reinforced concrete replaced wood in factory walls, roofs, and supports, giving better fire protection and allowing for large volumes of unobstructed interior. The first implementation of this new style of architecture was the Packard Automotive Plant in Detroit, designed by Kahn and Associates in 1903. The success of the Packard plant gave way to an onslaught of industrial work for Kahn, and even piqued the interest of Henry Ford. 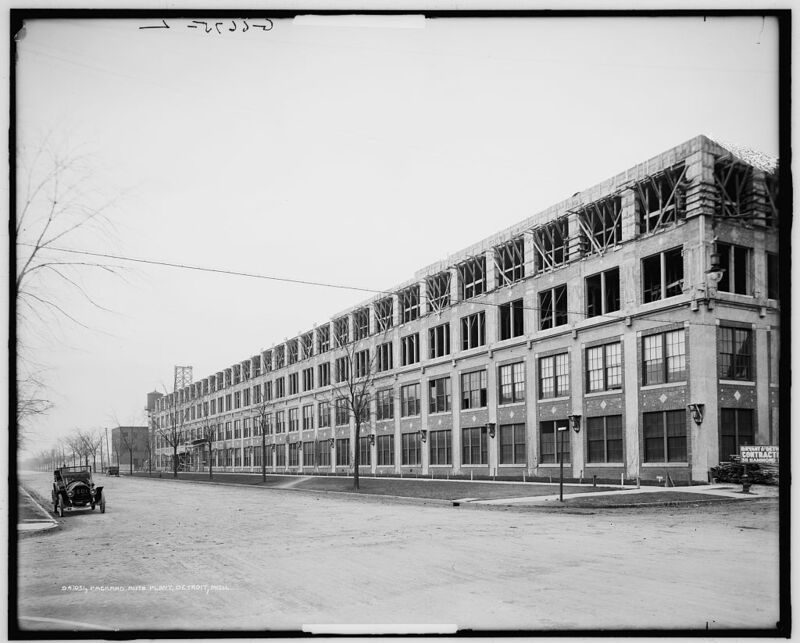 Kahn went on to design Ford Motor Company’s Highland Park plant, begun in 1909, where Ford consolidated production of the Ford Model T and perfected the assembly line. 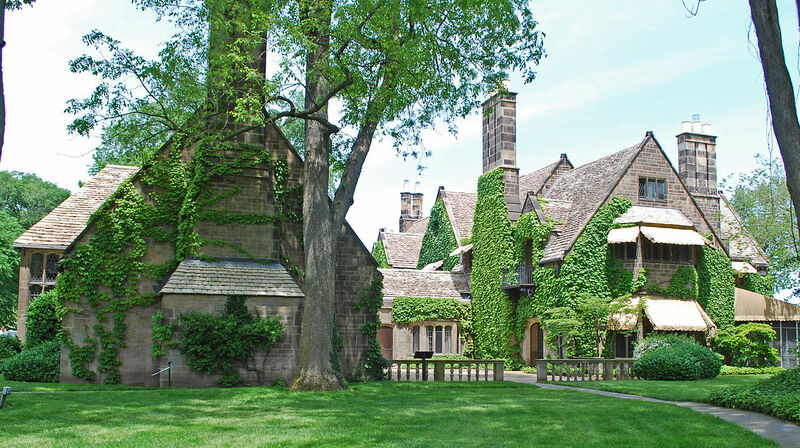 Although Kahn was most widely know for his industrial architecture, he also designed a handful of residential gems for a few noteworthy clients, including Henry’s Son, Edsel Ford. The English cottage-inspired Edsel and Eleanor Ford mansion that Khan designed became a national historic landmark in 2016. In 1909 he designed and developed an Indian Village mansion for Hugh Chalmers, founder of the Chalmers Motor Car Company. 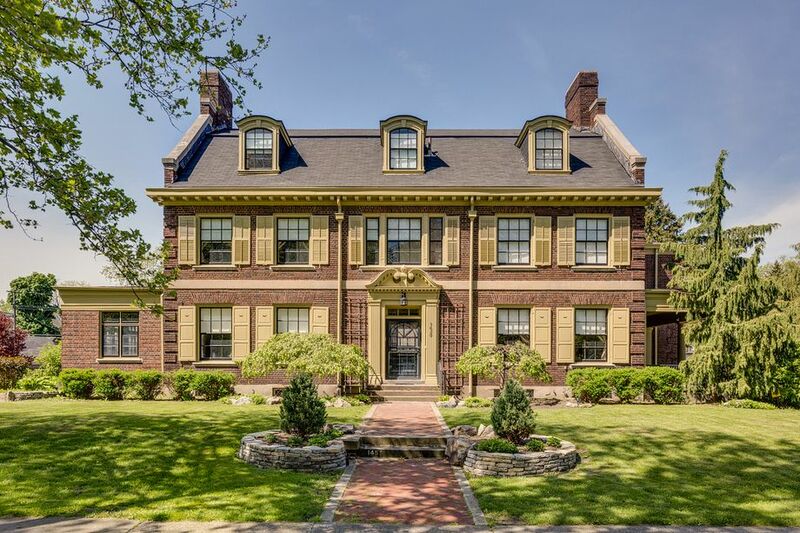 The home boasts 9,200 square feet of spectacular period details, including a jaw-dropping, oak-paneled office with limestone fireplace, and a custom French speakeasy in the basement. 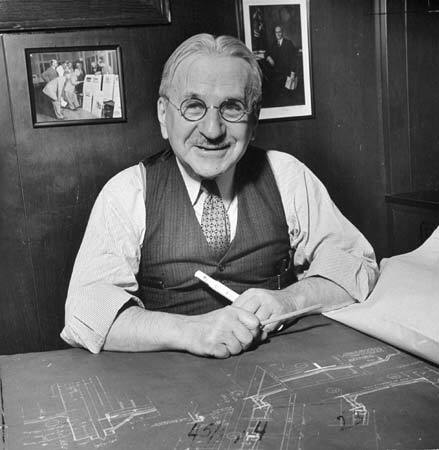 Albert Kahn worked on more than 1,000 commissions from Henry Ford and hundreds for other automakers. He designed showrooms for Ford Motor Company in several cities including New York, Washington, D.C., and Boston. In 1937, Albert Kahn Associates was responsible for 19 percent of all architect-designed factories in the U.S. He died in Detroit on December 8, 1942. Albert Khan, the “architect of Detroit,” is recognized as the foremost architect of his day.